We are currently home to a number of wolfdogs, and dogs with recent wolf ancestry. Each has their individual story, and their individual personality, but their uniqueness from each other (as well as from their dog relatives), is quite amazing and alluring. We are currently working on getting a few of our more socially comfortable wolfdogs ready to go out in public as ambassadors, as well as adding more exercise and play yards for these quirky, intelligent, fun loving pups! Read along to learn more about each one! Akki is Kato and Zenya's dad, and originally lived near Bakersfield with Kato. He and Kato found their way to our sanctuary in May of 2017, when their previous owner realized she wasn't able to give them the time and love that they were used to after having a child. 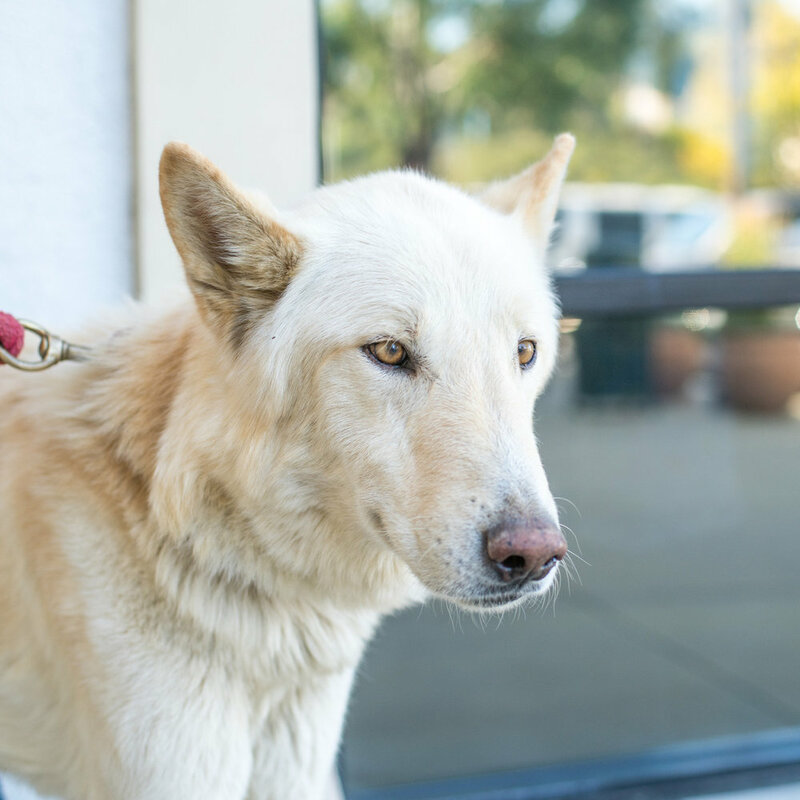 He is one of our most social wolfdogs, and enjoys coming along to adoption events and public outings, and saying hi to new people! We've done a lot of training with him, from general manners to being reliable out in public, and he is truly a gentle giant who soaks up pets and neck scratches when he can get them! Kato is Akki's higher content son, also from MacFarland. He is a very mischievous and playful young man, but has a bit of a teenager 'tude at times! He is a complete lovebug and goofball to the people he gets to know, and is definitely one of the more social wolfdogs! Zenya is one of our long-term boarding wolfdogs, and Akki's daughter, who came to us in November 2017. 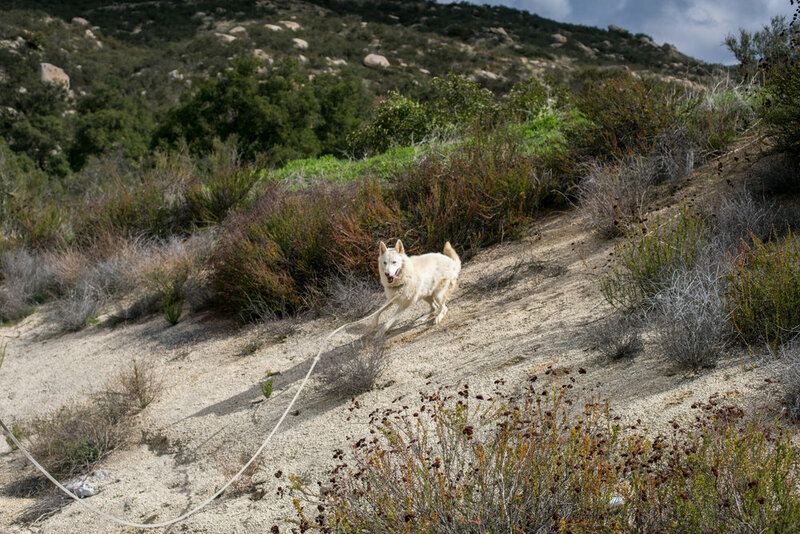 Her owner was referred to us by Akki & Kato's previous owner, and asked us if we could help. Her owner was forced to move to a county with very unfriendly wolfdog policies, and after going through MANY tough times with Zenya (who was her saving grace through it all), her owner could not bear to lose her companion, and sought refuge for Z. Zenya had been staying with another friend in the wolfdog community in Oregon, but with the winter snow coming, her enclosure was not expected to be adequate to keep her in, so her mom went up to get her, and we met her in Bakersfield to bring this girl to safety until her owner has a safe place and can be reunited with her love. Kaia was networked to us by an amazing lady who was put into contact with us from Zenya's owner. Kaia's original owner had passed away, and she did NOT get along with her new owner, who soon reciprocated the sentiments. Due to issues with him, as well as concerns about aggression with other female canines, the new owner's roommate (who was caring for her), contacted us and arranged a wolfy drop-off in Sacramento on our way back down from a trip to Oregon. Kaia is a little shy, but does great with Kato, who she was paired with when she came to rescue. She is crazy about most of our on-site staff, and happily scent-rubs all over them. To date, Miss Kaia has shown no aggression issues towards humans or canines! 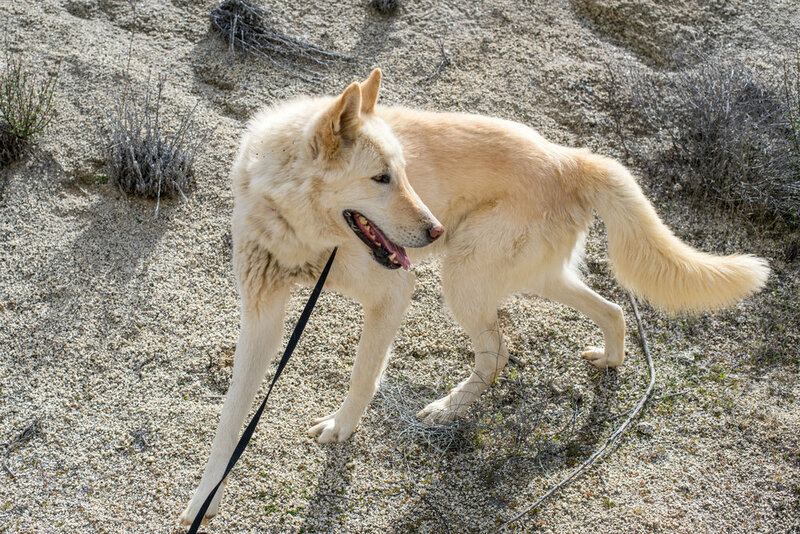 Loki is one of four wolfdogs we rescued from Newberry Springs in 2016. Stay tuned for his, Sascha's, and Sheena's biographies! Loki and Nakota's mother; and Sheena's aunt. :) Stay tuned for more information! One of our "Newberry wolves". She is a goof, and engages in regular cuddle sessions. Stay tuned for more info! Because wolfdogs ARE NOT pets, and a number have come to us due to people not understanding that, our wolfdogs are not up for adoption. Wolfdogs require safe and spacious containment - they are quite active, athletic and smart: they will easily escape a 6 foot fence, or dig out of any improperly reinforced containment in a matter of seconds. 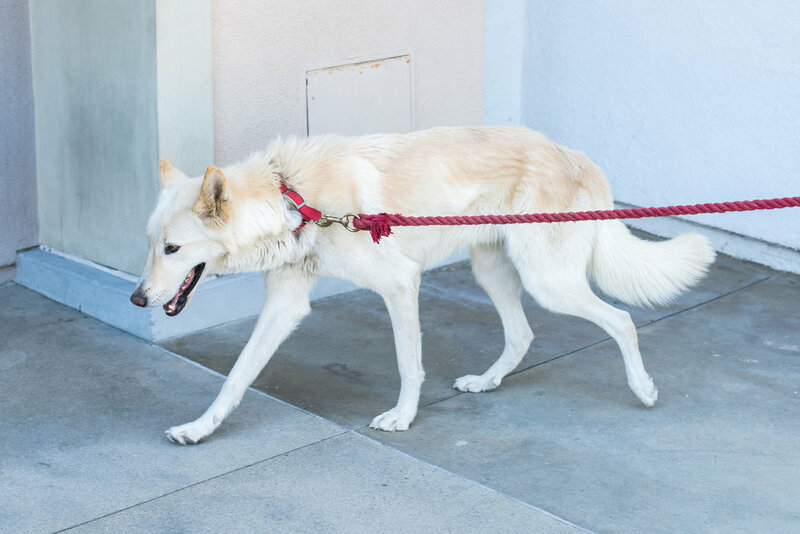 Wolfdogs do not necessarily potty-train or housebreak well; even with consistent training at an early age, there are sometimes wild instincts that just can not be domesticated. They can and will jump on and pillage countertops and surfaces with no hesitation, and often a handler risks getting bit trying to retrieve a stolen object from a playful but possessive wolfdog. While they are truly beautiful, and a wonder to be around in the proper environment, they are not pets, and we highly discourage anyone from attempting to own a wolfdog. A majority of young wolfdogs don't make it to adulthood due to being killed during escaping, or in shelters because their wolfy traits ended up being a nuisance or dangerous to the unprepared owner, and shelters have no qualifications and little resources regarding wolfdogs. 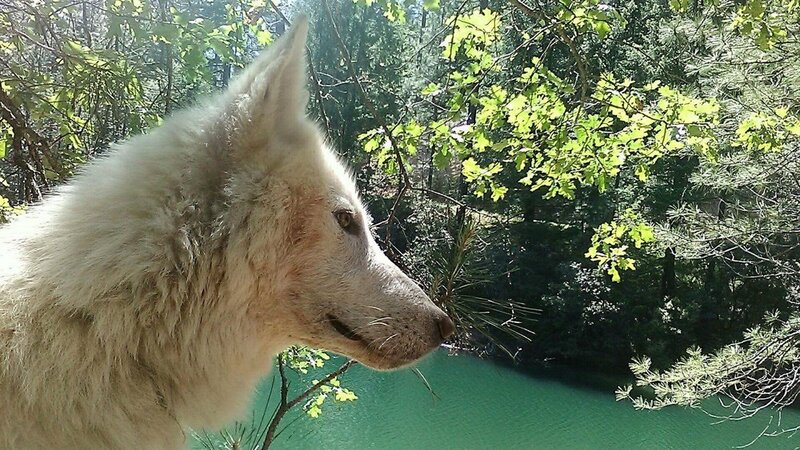 Most sanctuaries are extremely selective about only taking high content wolfdogs and as most wolfdogs (or just dogs) are sadly misrepresented as a higher content than they are (if any), they are passed over and suffer the consequences.